Hi-fi honcho Arcam is launching a suite of new products on Wednesday 7th February - including a Solo one-box home cinema system. 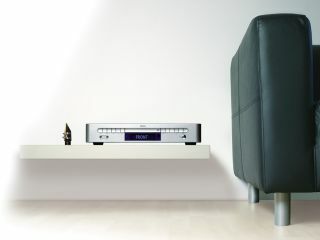 Arcam claims that this new all-in-one system is the most comprehensive of its type ever made. It's based on the company's existing high-end home cinema and DVD components and is said to feature cutting-edge technology. It's official launch date is Thursday 1st March and it will cost £2,000. The company says that will be the first music server ever to focus on sound quality. It comes with a 400GB hard disk drive with built-in CD player. It's expected to cost £3,000. Launch date to be confirmed. This home cinema receiver promises to deliver high-end quality sound at an affordable price. It will be available late March for £1,200. No ordinary DVD player this. It's promising 1080p high definition quality picture and includes CD, DVD-Audio and Super Audio CD (SACD) playback. It too is launching late March, this time for £900. The company's iPod dock promises audiophile grade sound thanks to a virtual battery and a high-end preamplifier. The company claims that it will be the best sounding iPod dock ever made. It's launching in late February for £130.